Last week, Nike hosted a variety of free fitness classes, talks and events to inspire women to stay active and try new activities during the last week of January. 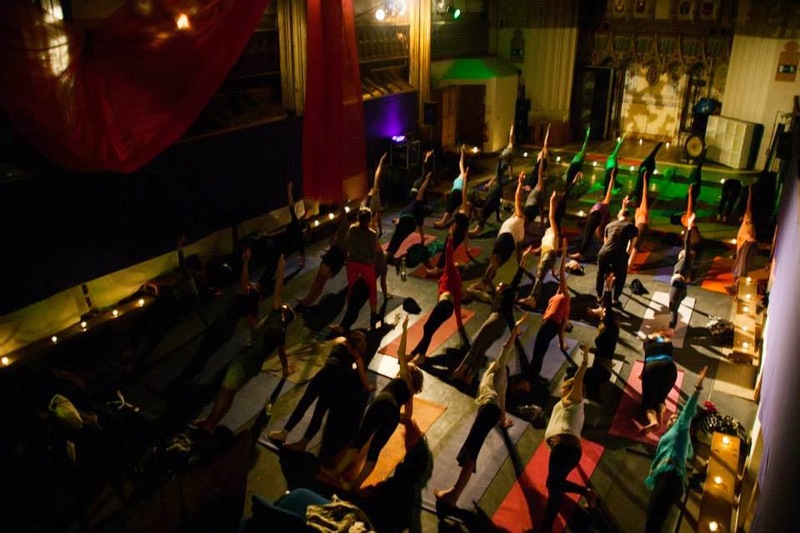 I was lucky enough to get into the last event of the week- a collaboration with Secret Yoga Club. The event was held at The Nave an arts and performance space within an old church in Islington. The church hall was lit by candlelight and provided the perfect environment for a relaxing vinyasa flow class on a Sunday evening. The yoga poses were demonstrated by one instructor while another instructor walked around the room talking us through the breathing and postures. I really enjoyed the class particularly the savasana when we were given a face and neck massage by the instructor. A gong was played throughout the savasana which I must admit I found a bit loud and distracted me from the relaxation! We were also given coconut water and fruit smoothies. Everything was delicious and enjoyed chatting with the girls I was sat with. We had a lot to talk about- including charity skydives, tough mudder events and of course- yoga and food! Overall a fantastic evening which rounded off the weekend perfectly. I couldn’t believe the whole event was free! Secret Yoga Club host these events regularly for a suggested donation, so I am definitely keen to try out more of their classes.